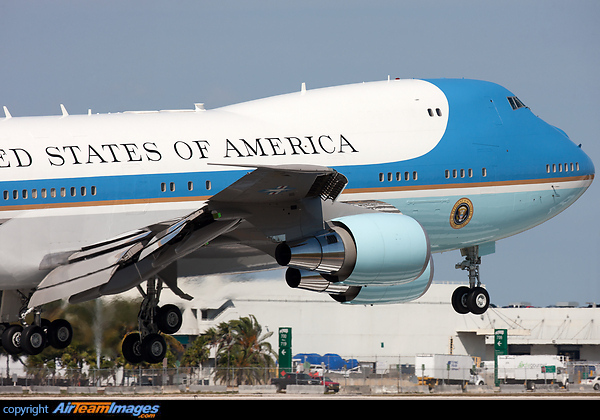 The VC-25A is the famed 'Air Force One' of the US Airforce. 2 identical aircraft can carry this call-sign, they are fitted out as VVIP transports and command posts for the United State's President. The airframe is based on the 747-200. 4 x General Electric CF6 (41500 - 69800 lbf) turbofan engines. Uses the CF-680C2B, rated at 56700lb thrust.